Everyday life can be very stressful. 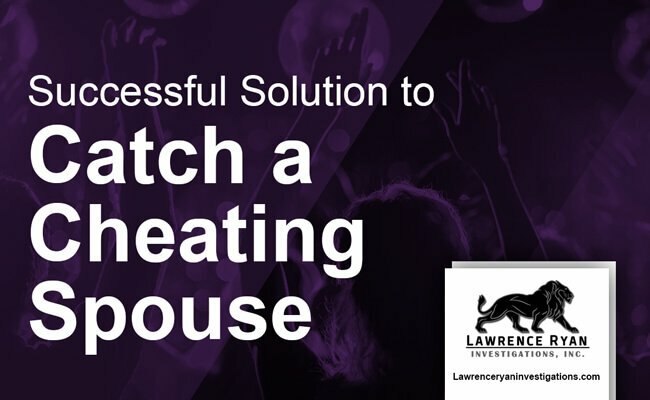 The addition of worrying about how to catch a cheating spouse can make things unbearable. Fortunately for you, there are professionals who specialize in areas like this. Utilizing a Private Investigator (PI), can be a great and useful way to get a definitive answer for the painful question nobody wants to have to ask their significant other. What exactly does a Private Investigator do? Not everybody knows what a PI does. And that’s good, right? If everybody knew what they did, they probably wouldn’t be nearly as effective as they actually are. It’s the job of a PI to get you an answer that you can trust. It’s hard to know exactly what to look for when you’re investigating a potentially cheating spouse. One of the best reasons to get a PI is because they do this for a living. Most PI’s have been in either law enforcement, or similar career fields their entire lives. They know what to look for. It’s unbelievably easy to jump to conclusions when you’re looking into something of this magnitude by yourself. This brings us to another great reason to hire a Infidelity Private Investigator. People that have no emotional attachment to the case or situation will be able to provide professional answers, especially if they have a specialized career in this field. You’ve decided to go with a PI. What now? So you’ve decided that you’re going to go ahead and make the move to hiring a PI, but where do you start? We’re going to lay out a more specific checklist in the next section, but for now you should be looking into a local private investigators. It’s important to work with a PI firm that has good rapport with you. What exactly does that mean? Well there are a couple things to look for when you have your free first consultation. Once you go to meet the PI, make sure that you have all relevant documents necessary, as well as being prepared to summarize your needs. You will want to have pictures of the person you’d like to have the surveillance conducted on, as well as other things such as the make and model of the car they drive, and the addresses of local hangouts and friends houses. Most PI firms will also ask you about a 24 hour scenario to get an idea of their day-to-day life. If you forget anything or leave anything out, don’t worry. The consultation is just to get a feel for the kind of services you’ll be provided, as well as a formal introduction between you and the PI. At this consultation, the PI will also go over and walk through their processes with you, as well as tell you what he needs to do to complete the job correctly. Dealing with a cheating spouse can be stressful and overwhelming. So as with any service you want to hire somebody for, you want to make sure that you’re hiring someone with very high knowledge and expertise to make sure you get the best results. Below will be some basic things to look for when you talk to your PI at your free consultation. Have they established themselves and their career in the Personal Investigation field? What is their educational background like? These are all questions that you should be asking yourself to make sure you’re hiring a professional. PIs that have an extensive background in law enforcement and private investigation are going to be much more experienced than someone who is just starting out, or doesn’t have relevant experience in the field. You should never be afraid to ask your PI questions. A good example of a question you can ask would be “How many cases have you dealt with that were similar to mine?”, “How long have you been practicing Private Investigation?”, “Have you ever performed infidelity surveillance?”or be blunt, “Do you know how to catch a cheating spouse?“. PIs will be more than willing to answer any question within reason to help set your mind at ease. It’s not very hard to give yourself the title of Infidelity Private Investigator. A few states require little to no experience to give yourself the title. It’s important to figure out what your state requirements are to be considered a PI. A simple google search using ” (STATE NAME) private investigator license requirements”, should bring up the requirements for you as well as a number for you to call if you have further questions. You should also contact your state’s Department of Consumer Affairs to make sure that the firm you plan on using is licensed in your state. And finally, do they display good character? Do they seem to care about your situation? What is their opinion on confidentiality? Private Investigator’s aren’t held to an attorney-client confidentiality agreement, but a good PI would never disclose their clients name. It’s important to take note of how your PI presents themselves at the consultation. You’re entrusting a lot into a professional to get the job done efficiently and correctly. You should be making sure that they’re putting your needs first, not the money. The process will be much smoother if both the PI and yourself have a good bond. Personal Investigators know the emotional stress that you’re going through in times like this. They’re a very effective way of obtaining answers to questions that can sometimes be too heartbreaking to ask yourself. They know your pain and will everything in their power to get you the answers you deserve. Lawrence Ryan Investigations has been in the private investigations field for over 35 years. To catch a cheating spouse requires a certain set of technical as well as soft skills to deliver results. 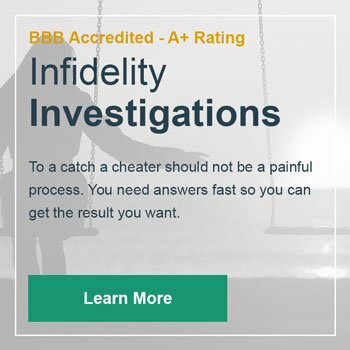 Having a infidelity private investigator from LRI will provide you with the peace of mind that you are getting the best possible support. We always recommend to look at a private investigators reviews before hiring them. There are high quality investigators available but you have to be cautious of a select group that call them professional investigators but are farthest from it. Contact an LRI investigator for more information.